The time has finally come for us to say goodbye to Mekah. My heart felt heavy to leave because the time spent here was really too short. I really hope I will have the opportunity to come back soon. 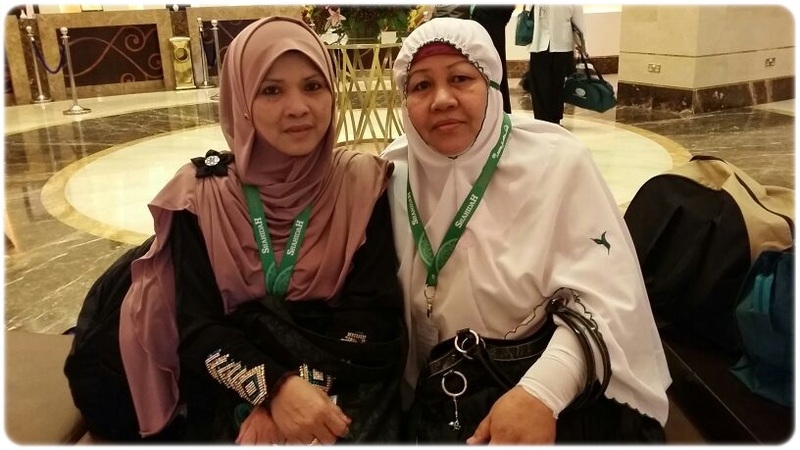 While waiting for the bus to leave for Madinah, we hung out at the hotel lobby. Our ustaz is stationed here in Mekah so he was not following us. I really like his teachings. He is knowledgeable yet humble. Furthermore, he was humorous and it makes learning enjoyable and long lasting. The officer in charge of our group, Cik Raudhah has been helpful and caring the whole time. We are blessed. Mama with this family of cuties. These two little girls were the only girls in our group but they are too adorable with their tudungs and are often the target to tease. Lol. The bus was taking ages to arrive. I did not really notice the beauty of the ceiling in the lobby even though we have been here for 6 days. The bus was finally here and we quickly hopped onto it. 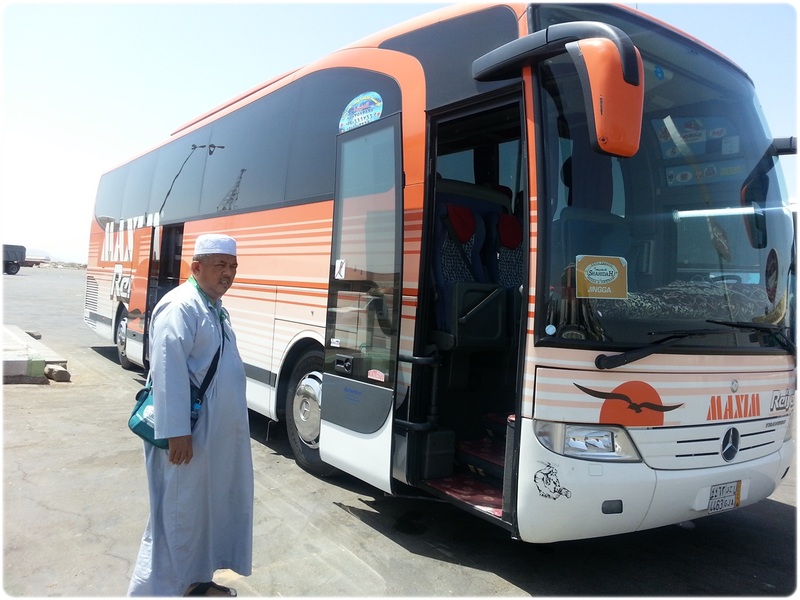 The journey to Madinah will take 6 hours via bus. However since we spent the early morning doing tawaf wada’ (goodbye tawaf), we were all exhausted and spent the time sleeping in the bus. There was not much to see anyway. Most of the sceneries were like this. After 4 hours, we stopped for a while for a quick toilet break. 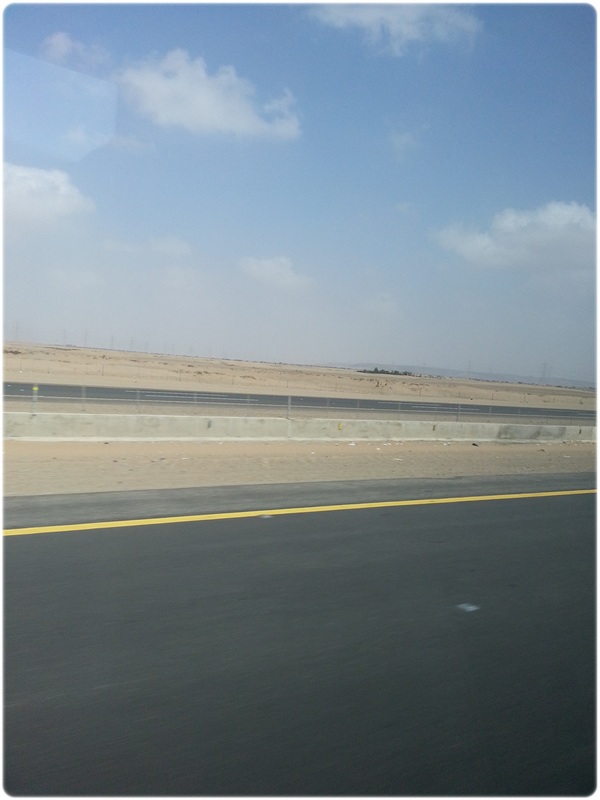 We were really in the middle of desert. 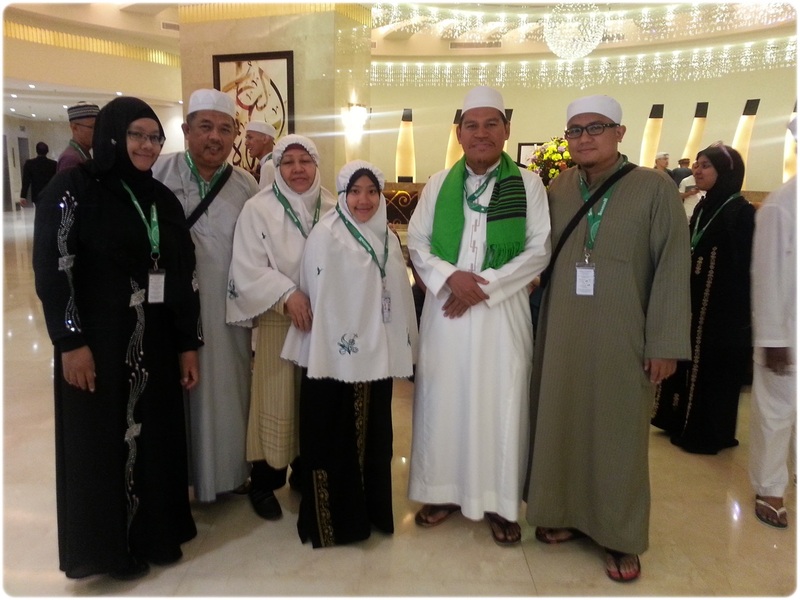 We are here in Madinah! 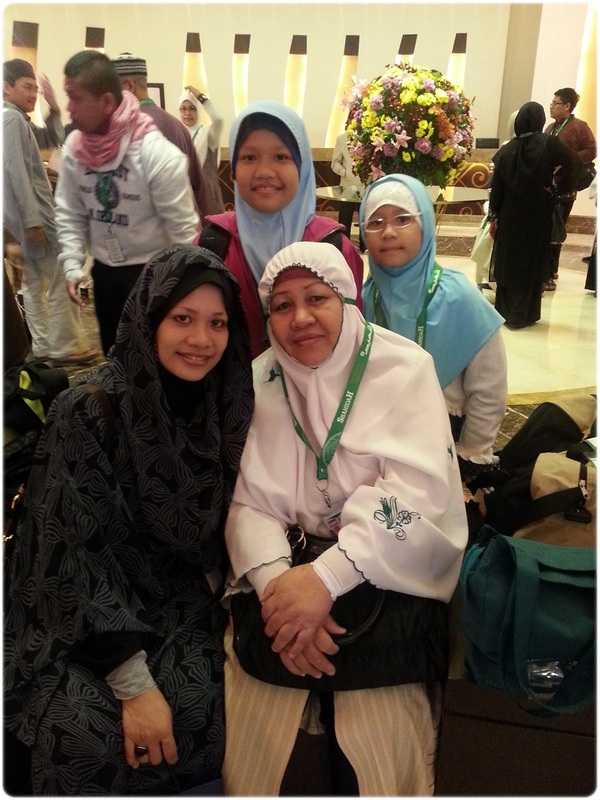 Our hotel, Green Palace Hotel was situated at the end mosque. This is the view from our hotel room! 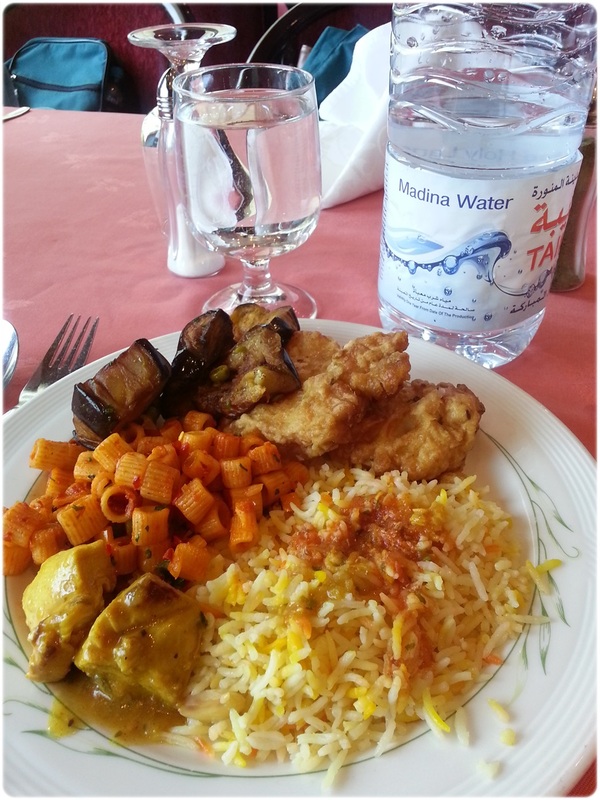 We were hurried to eat lunch as we only arrived at 2.30 pm and the restaurant closes at 3 pm. Imagine the food rush for everyone. Lol. Getting ready to go for asar prayers. Its so crowded! One of the beautiful entrance to the mosque. 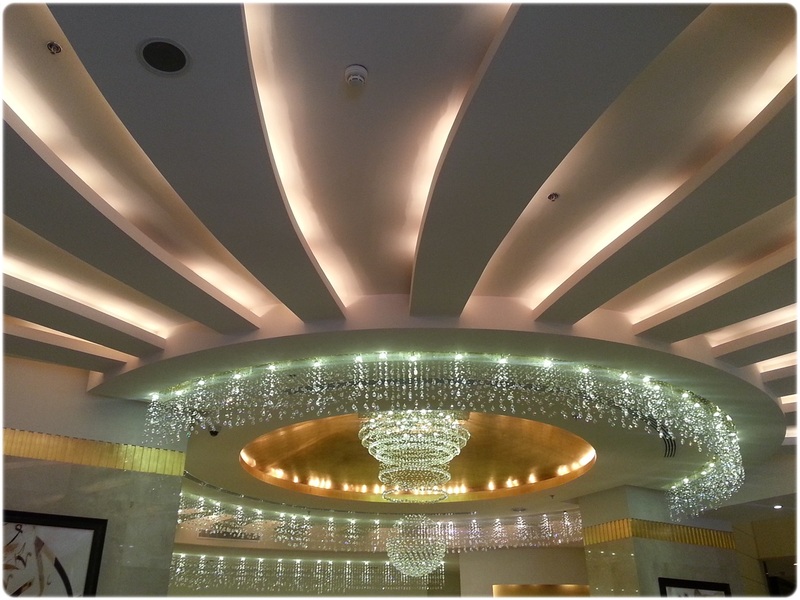 I was captivated by the beautiful ceiling, its so stunning. 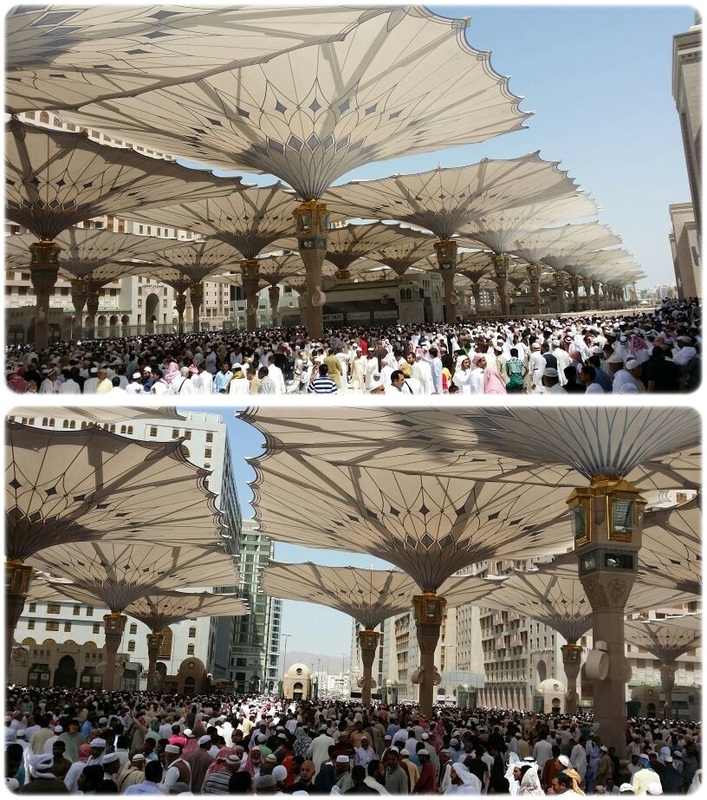 The huge crowd leaving after prayers. MasyaAllah. For the ladies, we had to really fight for space. There was no space for us to do prayers, we had to squeeze in at the back. 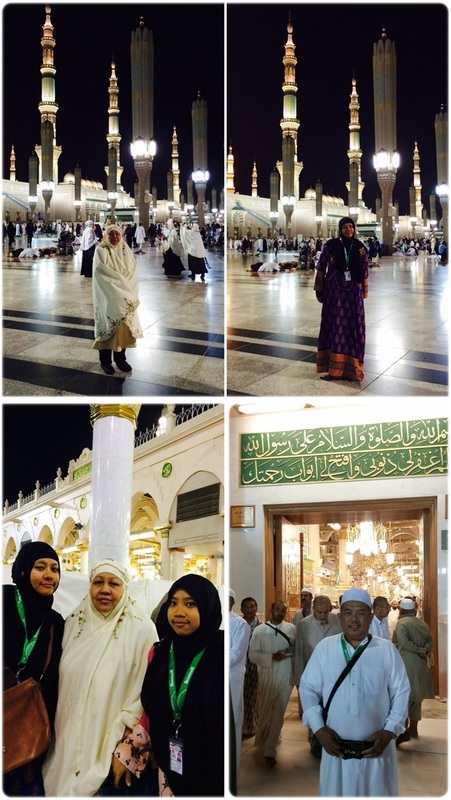 We had some time to rest because we were scheduled to visit Ar-Raudah at night after Isyak. The initial plan was to go at 4.30 pm but they changed it to night perhaps because we arrived late and they did not want us to rush. 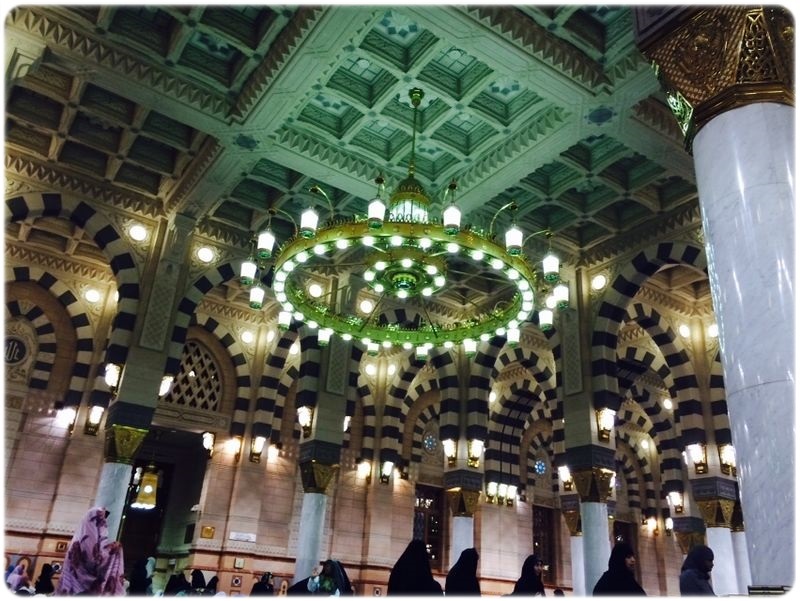 The heart of the mosque houses a very special but small area named ar-Rawdah an-Nabawiyah, which extends from Muhammad’s tomb to his pulpit. Pilgrims attempt to visit and pray in ar-Rawdah, for there is a tradition that supplications and prayers uttered here are never rejected. 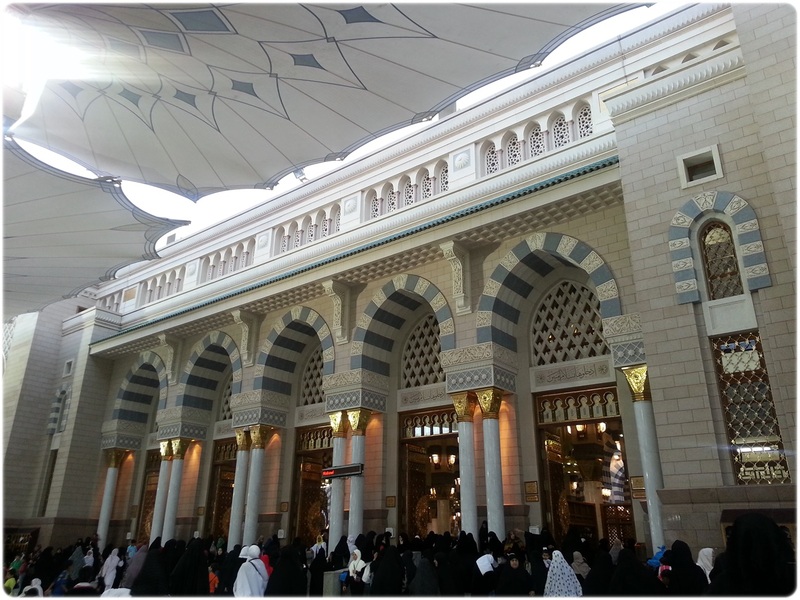 Entrance into ar-Rawdah is not always possible (especially during the Hajj season), as the tiny area can accommodate only a few hundred people. 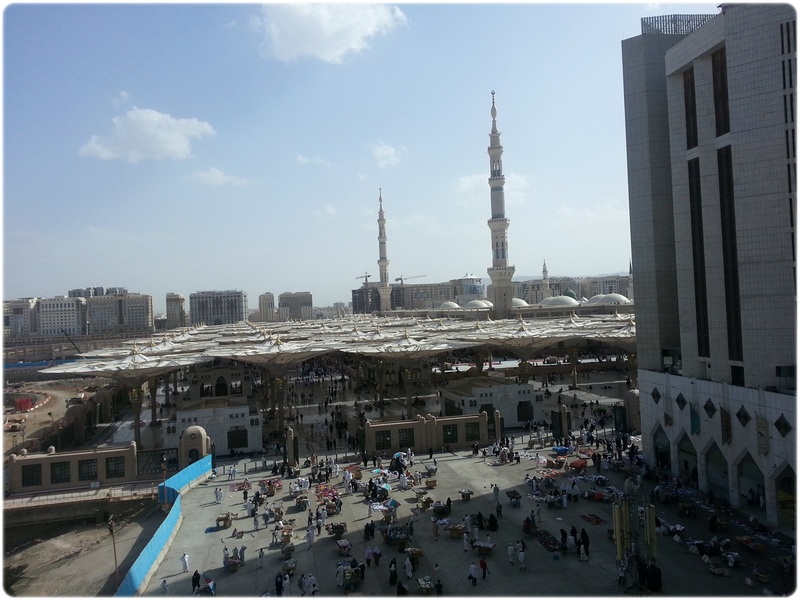 Ar-Rawdah has two small gateways manned by Saudi police officers. The current marble pulpit was constructed by the Ottomans. The original pulpit was much smaller than the current one, and constructed of palm tree wood, not marble. 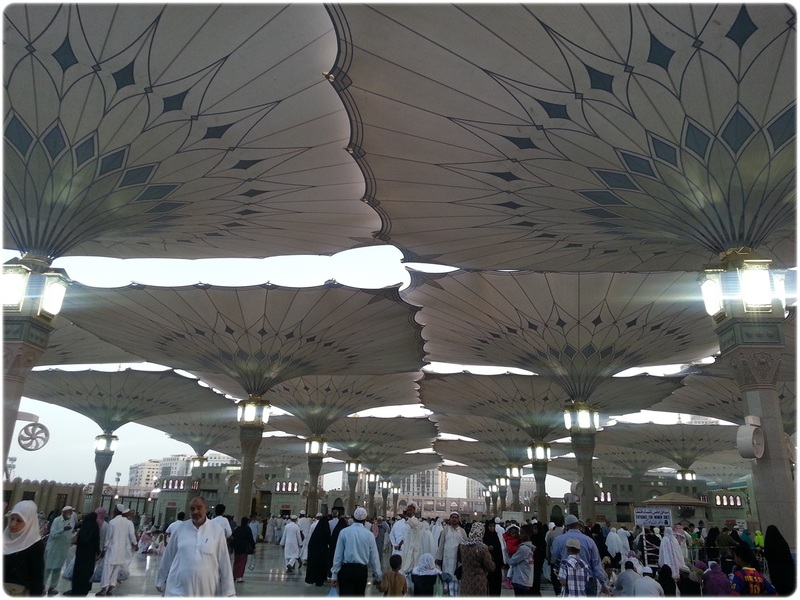 Ar-Rawdah an-Nabawiyah is considered part of Jannah (Heaven or Paradise). It was so crowded. The ladies had to wait for almost 3 hours before we were finally allowed in, its like going for a battle. One of our group mates reminded us that we needed to stick together because apparently they heard news that 3 people were trampled to death just last week at this same place. Of course we all wanted to do our prayers there but if we risk getting hurt than we can forgo it. Alhamdulilah, sis in law and me managed to do our prayers there. It was utter chaos. At times like this, I wish I am a guy. The guys could see the sacred chamber of Rasullulah SAW and there were no pushing and jostling. How jealous were we? I am just glad that we all came out ok. The smell was so fragrant even though we were not near Rasullullah’s pulpit. MasyaAllah, a confirmed resident of Jannah indeed. 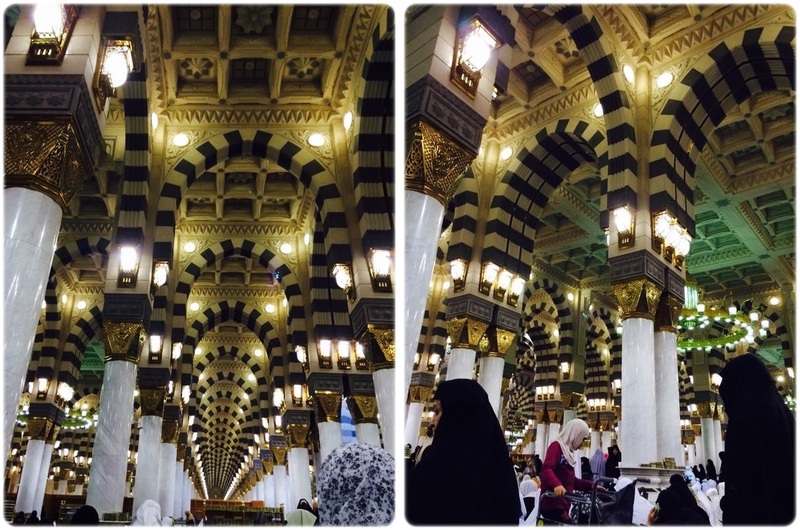 The Nabawi Mosque was even more beautiful at night. These pictures, taken with my mobile phone does not do the place justice.